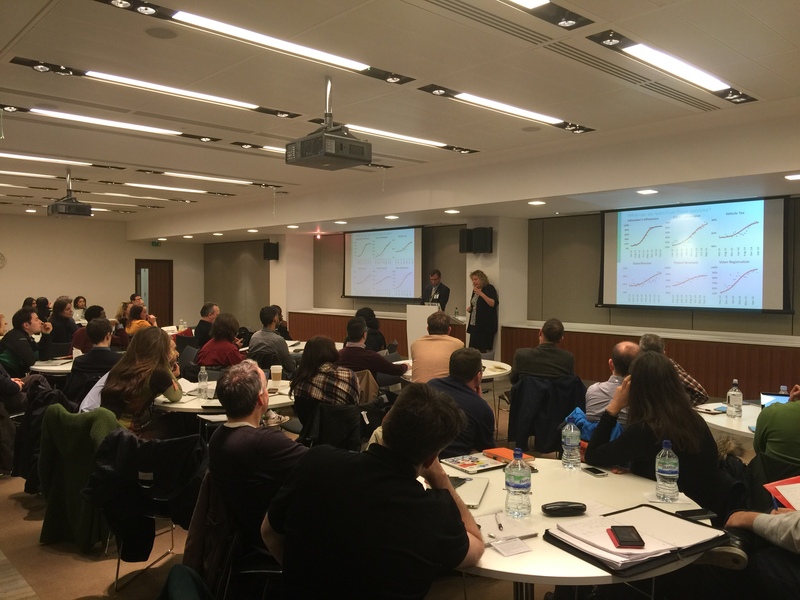 On 25 February we held the seventh meetup of digital and performance analysts who work across UK government services (DAUGS VII), at the National Audit Office. Sixty colleagues came together to share insights and approaches on topics ranging from tag management to analysing channel shift. DAUGS is always a great opportunity to showcase new techniques adopted by digital analysts in government, so I thought I’d share some of the lessons from this meetup. Guest speaker, Kenny Davies, from DigitasLBi, kicked things off with a presentation on the fundamentals of tag management, followed by some case studies. He spoke about the application of custom data collection to help empower analysts to better address multiple organisational objectives more effectively. This led to some valuable discussions about the opportunities and limitations in applying this to government content and services. Next up was a presentation by Jamie Douglas and Viv Raven on channel modelling and digital takeup. They focused on addressing the changing customer profiles for services and the impact on channel shift at DWP and HMRC respectively. Analysing evidence on digital skills and access across a representative sample and range of online indicators helped them to devise 12 new digital propensity user groups for products and services. The goal of the modelling was to understand how these changing customer profiles would affect users' willingness and ability to use digital services. 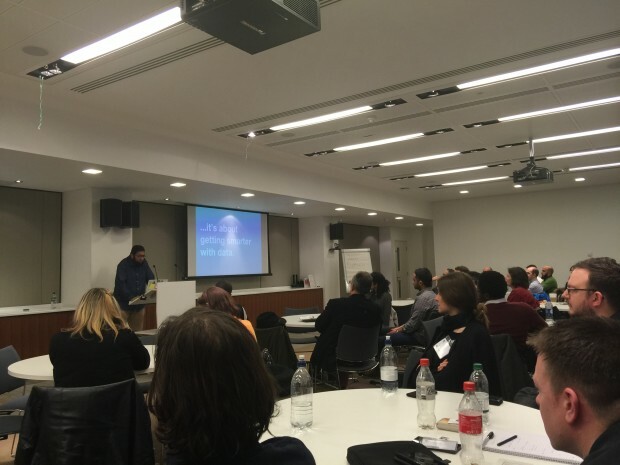 The final presentation was by GDS’s Ashraf Chohan, who explained what he's learned by introducing a performance measurement framework for his team at GDS to use. 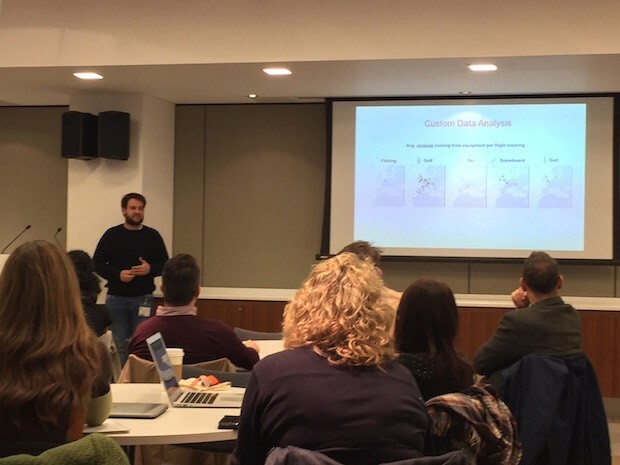 Ash wanted to help them challenge broad, unfocused data analysis requests which only resulted in ‘data puking’ - a problem for analysts inside and outside government. Instead, he proposed analysts should work with their multidisciplinary team to agree what is useful to measure as a first step before any data analysis. Setting clear objectives and incorporating user needs helped to develop much more valuable performance indicators and ignore vanity metrics. The afternoon was rounded off by 3 parallel sessions. Anna Zaikina led a session on social media monitoring in HMRC, Peter Jordan and I ran a workshop to canvass opinions and experiences on the professional development needs of digital analysts. In addition, Jamie Douglas held a further discussion of the digital take-up approach and measures at DWP. DAUGS VIII will be in the spring, providing another chance for networking and sharing advice from people working in our analytics community.